Musical colleagues since 1979 and founding members of the Baltimore Consort, their work as a duo is included on the GRAMMY Nominated Indigo Road (Ronn McFarlane); One Morning (Ronn McFarlane & Ayreheart); The Baltimore Consort Live in Concert; and Gut, Wind and Wire (The Baltimore Consort). In concert, they offer a wide variety of Renaissance, Baroque, Celtic and original music for flute and lute. ...probably the finest living exponent of his instrument The Times Colonist, Victoria, B.C. Fluent in the music of several eras, Mindy Rosenfeld is a founding member of the highly respected Baltimore Consort, with whom she tours extensively, and since 1989, of San Francisco’s Philharmonia Baroque Orchestra (“the nation’s premier early music ensemble”—New York Times), where she has performed under director Nicholas McGegan and guest conductors William Christie, Jordi Savall, Gustav Leonhardt, Andrew Parrott, Andrew Manze, Bernard Labadie and Trevor Pinnock; recorded extensively; and appeared in Lincoln Center’s Mostly Mozart Festival, the Berkeley Early Music Festival, BBC Proms (Royal Albert Hall), Concertgebouw (Amsterdam) and both Carnegie and Disney Halls. Mindy is Principal Flutist and soloist with both the Symphony of the Redwoods (California) and the Mendocino Music Festival (California). As a guest artist, Mindy has performed with American Bach Soloists (San Francisco), Apollo'sFire (Cleveland), Musica Angelica (Los Angeles), San Diego Bach Collegium, Catacoustic (Cinncinnati), Portland’s Trinity Consort, Magnificat (San Francisco), the San Jose Symphonic Choir, San Francisco Bach Choir, Golden Gate Men’s Choir, Santa Rosa Symphony, Ukiah Symphony (as soloist), Modesto Symphony and numerous other Bay Area ensembles. 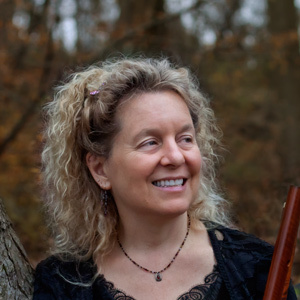 The mother of five boys, with a BA in Flute Performance from the Peabody Conservatory (Baltimore) and an MA in Modern and Baroque Flute Performance from San Francisco Conservatory, Mindy divides her time between performing, touring, teaching, dancing, her family, and their garden. GRAMMY-nominated lutenist, Ronn McFarlane strives to bring the lute - the most popular instrument of the Renaissance - into today's musical mainstream and make it accessible to a wider audience. Born in West Virginia, Ronn spent his early years in Maryland. At thirteen, upon hearing "Wipeout" by the Surfaris, he fell wildly in love with music and taught himself to play on a "cranky sixteen-dollar steel-string guitar.?" Ronn kept at it, playing blues and rock music on the electric guitar while studying classical guitar. 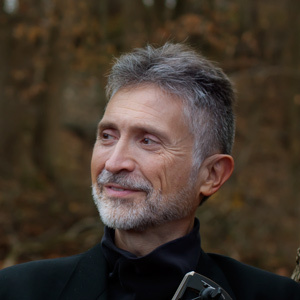 He graduated with honors from Shenandoah Conservatory and continued guitar studies at Peabody Conservatory before turning his full attention and energy to the lute in 1978. The following year, Mr. McFarlane began to perform solo recitals on the lute and became a member of the Baltimore Consort. Since then, he has toured throughout the United States, Canada and Europe with the Baltimore Consort and as a soloist. Would you like to book a performance by Mindy Rosenfeld and Ronn McFarlane, or do you have general questions or comments? Use this form to send a message to the group. Please be certain to provide relevant contact information if requesting information about concert booking.